Carmakers are always seeking an understandably better return-on-investment, reports Iain Robertson, and because ‘base models’ truly do not exist these days, turning on the style with the top versions becomes a vital profit incentive. 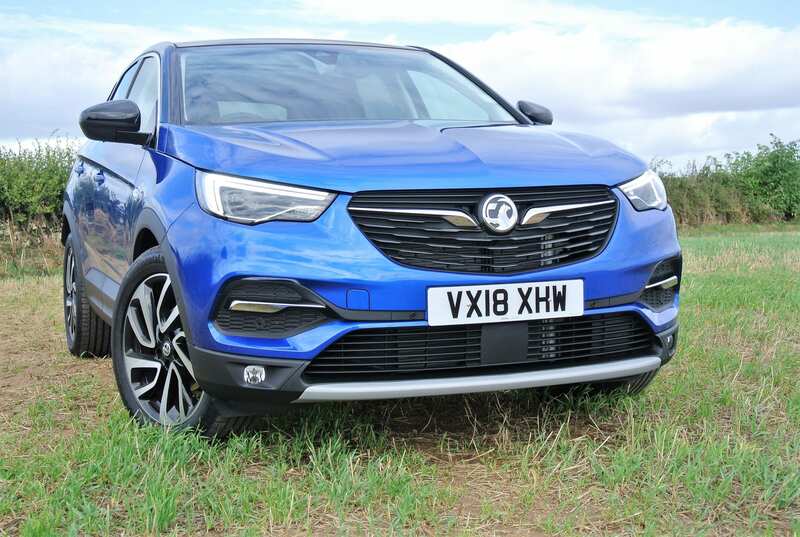 ‘Give ‘em what they want!’ could be a rallying cry to SUV and crossover buyers from various carmakers, as Vauxhall hikes-up the value proposition of its already popular midfielder with a vastly enhanced specification. Thanks to an engaging advertising programme and a desire by Vauxhall fans not to see a total subsuming of the brand by the Gallic PSA Group, the Grandland X appears to be holding its own in a viciously competitive market sector. Pursuing an important market entry-point in pricing terms is a fun-packed exercise for all manufacturers, whether of white goods, furniture, foodstuffs, or motorcars. Of course, ‘bargain basement’ is seldom the aim, because none of them, in their right minds, wants to retail a stripped-down, bare-bones basic model, on which they will earn such small profits (if any) that producing the follow-on version becomes unviable. You might be able to perceive a Dacia as one of the UK’s lowest-price promoted cars but obtaining one will be almost impossible. Striking a balance is essential. Customisation, personalisation and making bespoke are all buzzwords of the new Millennium, which can be achieved by pseudo-iconic brands like the Fiat 500 and BMW Mini. However, the process can be complex and the Germanic route to market, which entails starting with a template and then factoring-in a raft of tick-box accessories, can become so convoluted that the very process of selection becomes tiresomely undesirable. 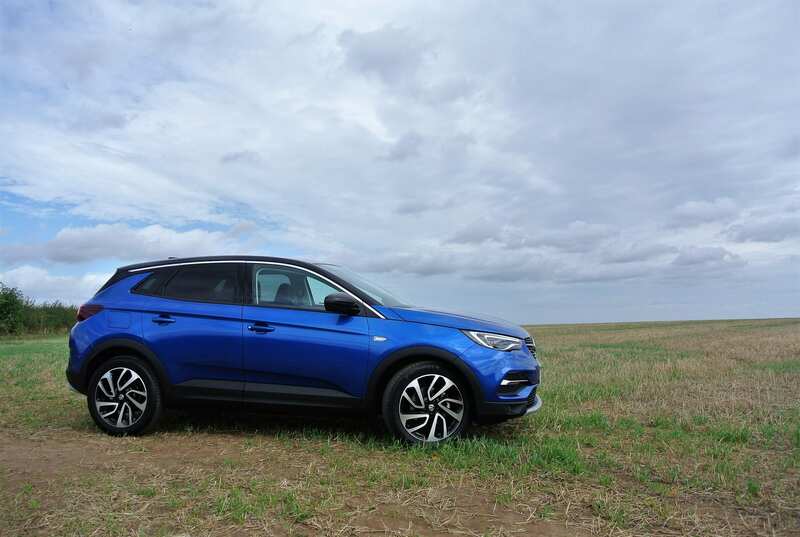 As a result, I applaud carmakers, like Vauxhall, for taking a decent platform, which the PSA Group has in its EMP2 development, upon which the Grandland X model is based, then packing it with every imaginable item from its available stock of options and gifting it the Elite-Nav trim status. Okay. The upshot may make an eye-watering price tag of £31,970 for the test example, which will be reduced significantly, once dealer discounts are applied, but does include £550 for the Park & Go system, £555 for the Winter Pack, £1,115 for the LED headlamp pack, £400 for the black roof and mirror-casings, plus a final flourish of £570 for two-coat metallic paint (I am still awaiting the opportunity to acquire a new car in ‘primer’!). Yet, it is a model that is right on point for a sizeable proportion of UK car buyers, even though they might not realise it immediately. Initial recognition markers lie in the 19.0-inch diameter, diamond-cut alloy wheels that fill the arches to perfection and provide the car with a distinctive ‘designer look’, and include the rear privacy glazing and the subtle chrome trim highlights that make several carmakers’ uber-bling offerings look positively distasteful. 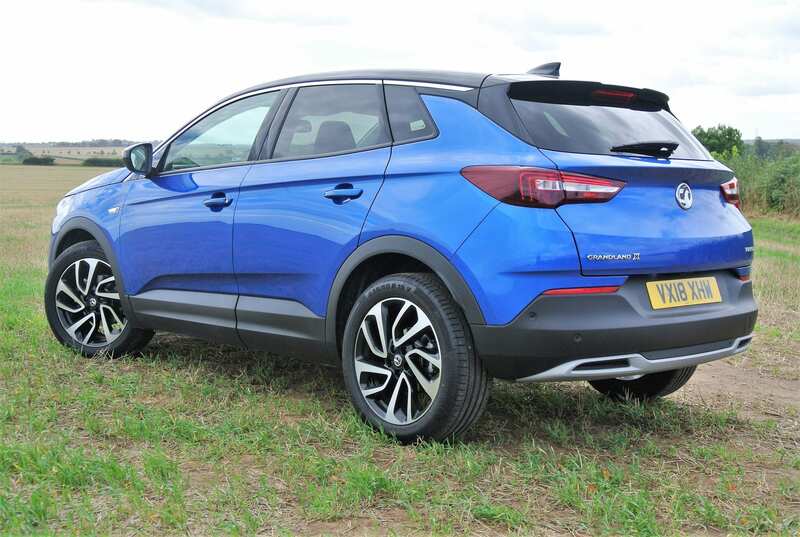 Grandland X in this guise is a handsome and impressive mid-size family car. Crack open any of the doors and the light perfume of high-grade hide permeates the nostrils and plenty of ‘soft-touch’ trim detailing satisfies the demands of manual tactility. Peer a little deeper and, with the panoramic electric roof-blind fully retracted that allows the interior to be flooded in natural light, there exists a nirvana of subtle and complementary shades of reflective Piano Black and soothingly absorbent greys; the only deviation from which is the 8.0-inch colour touch-screen in the dash-centre and the red needles on the instrument faces. Again, it is an ideal and classical balance achieved. Heated and electrically adjustable front seats that are exceptionally supportive and comfortable marry with the rake and reach range of the steering column to provide a comfortable and flexible driving position. Vauxhall avoids overkill by not electrifying everything, although a heated windscreen, multi-function door mirrors, with puddle-lamps, and auto-on wipers and lamps are all desirable features. Connectivity is to the highest level for mobiles and music, while the customary raft of driver aids (blind spot alert, lane departure, speed sign recognition, autonomous braking, driver drowsiness and collision mitigation systems), several of which would be on the extra-cost list, are all incorporated. To comply with its SUV aspirations, which this car is not, by virtue of being a front-driven platform, the PSA-developed electronic traction and stability system ensures that Grandland X crossover can reach places that the encumbrance of 4WD would enable but without the extra hardware and accompanying wear-rates. It is an ingenious system, which provides confidence to non-4WD enthusiasts, despite lacking that ultimate traction for mud-pluggers. It is limited but it works. Powering the car and driving through a sweetly fluent six-speed manual gearbox is the latest development of PSA’s mid-size turbo-diesel motor. Despite losing almost 100cc in capacity (over the former 1.6HUD version), its power is up to a decent 127bhp from 1,499cc. It is accompanied by a deep trough of torque (221lbs ft from 1,750rpm), which provides the car with an effortless gait that belies its relatively small displacement. However, meeting the latest EU demands for both fuel economy and exhaust emissions, it is capable of an Official Combined fuel return of 67.3mpg, while emitting a mere 110g/km of CO2, which helps to offset the extra per-litre cost of the fuel. This equates to a first year’s road tax of £165 and £140 annually thereafter. While the mid-range performance is strong, the car’s posted top speed of 119mph, with a 0-60mph benchmark time of 10.2s, is impressive and actually feels quicker than the on-paper figures suggest. Yet, that aforementioned torque figure is what makes it feel so indefatigable. The driver will seldom feel wrong-geared and most obstacles to progress can be dealt with by little more than a flex of the throttle foot. Once again, achieving the right balance is key to Grandland X’s success. Not averse to hopping onto a recently-shorn farmer’s field for its photographs, while traction is not a problem, neither is the suspension, which provides a compliant, refined and comfortably firm ride quality. It is matched by perfectly-weighted power steering that telegraphs solid information to the driver’s fingertips and maintains directional stability to perfection. Body roll is exceedingly well-controlled, which makes the overall handling balance as much fun as you may wish it to be from time to time and even braking dive and power-on weight transfer are balanced judiciously. Finally, space utilisation for such a compact body form is excellent. 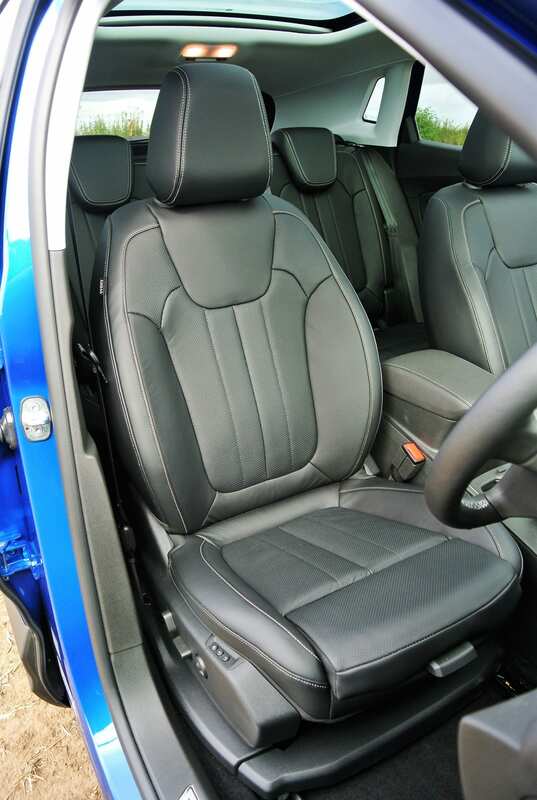 Access to the seats is good all-round and the neat scalloping of the front seat backs provides extra knee clearance in the rear. 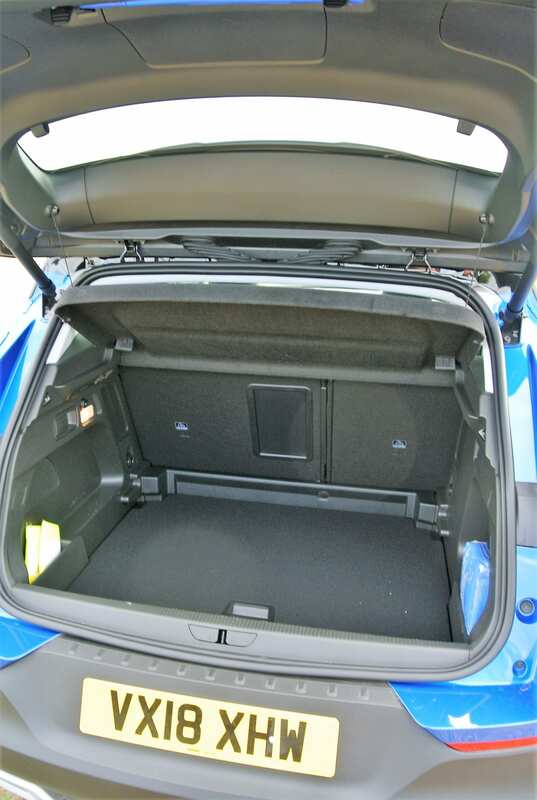 Storage is well considered, with a decent number of pockets, bins and compartments, while the 514-litres of boot capacity is sure to be appreciated and can be expanded considerably. 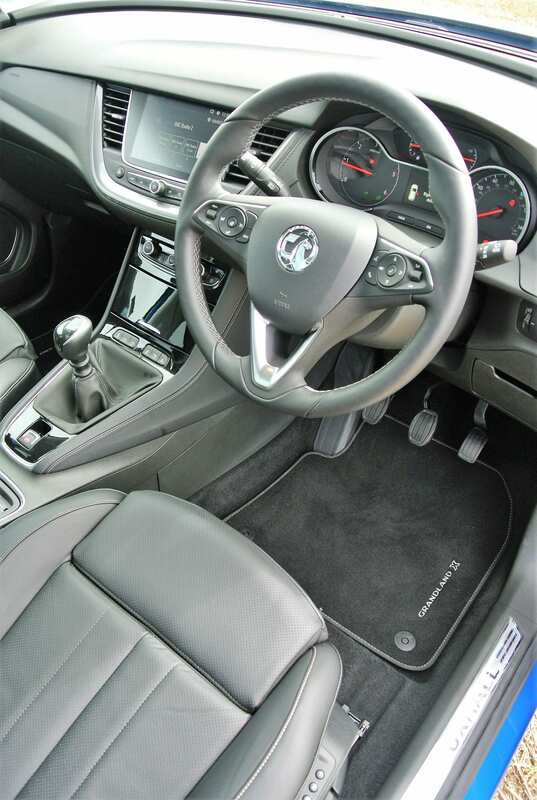 In typical Vauxhall form, the boot is a flexible zone, with compartmentalised below-floor storage and a ski ‘pass-through’ facility built into the rear seat central armrest. In real terms, despite sharing all of its technology with PSA, Vauxhall has managed to engineer enough ‘Vauxhallness’ into the equation to maintain a sense of brand pride. Conclusion: While loading-up the spec of a Grandland X could lead to imbalance, Vauxhall manages the exercise with delightful aplomb. 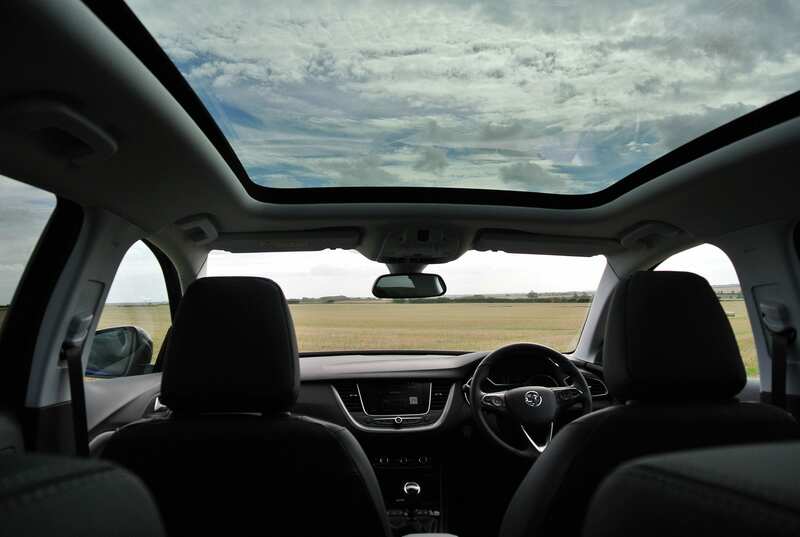 What results is a cracking, quiet, well-equipped, dynamically sound and zesty family car, of which you will have little need to demand much more.